SUMO executes archiving of information on operability of controlled devices and systems and emergency alerting of operating staff about failures via cellular channels. 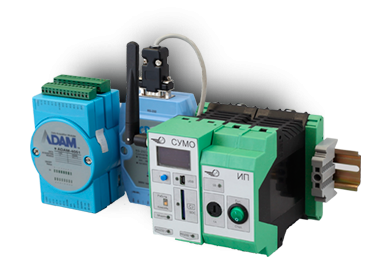 SUMO performs remote monitoring of any equipment supporting protocol MODBUS RTU. SUMO has modular structure and is installed on DIN-rack. Power supply is provided from own power source constituting separate module. remote access to device via GSM/GPRS for reception of data on equipment status and system itself. power consumption depends on number of additional modules and equal: not over 15 VA.
signalling equipment maintenance according to the current status and as consequence reduction of operating costs.